Deliveroo-Restaurant Food Delivery App helps in ordering the best food and the most loved food from the nearest restaurants around you to your doorstep. All this will be with in 32 minutes. This app is also available in the UK, France, Germany, Ireland, Spain, Belgium, Netherlands, Italy, Singapore, Hong Kong, Dubai and Australia on Android! You can host a party and relax. Do not get tensed what to cook!! 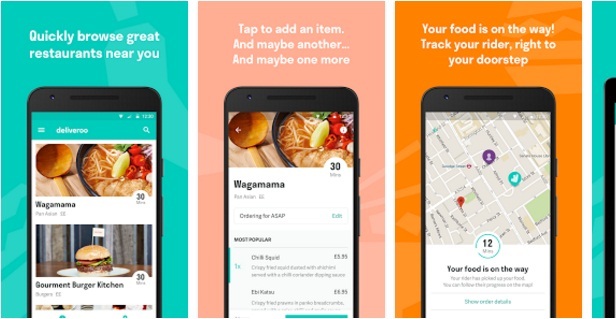 Simply order food from Deliveroo: Restaurant Delivery app.